Narrative: At 10:30 a.m. Thursday April 15, 2010, 4 Engines, 2 Ladders, 2 Medic Units, several Rural Metro Units and Command Staff responded to the report of a noxious order or possible natural gas leak at Jenny Reed Elementary School. Initially, a single engine company was dispatched (@10:01 a.m.) to investigate an "odor" problem at the school. The first arriving company could not identify any apparent natural gas leaks, but did find a number of students and staff complaining of feeling sick. The incident was quickly upgraded to a mass medical incident - the school was evacuated, a triage process was established that identified 25 patients, medical evaluations were given and 11 of those patients were transported to local area hospitals. The cause of the incident remains undetermined. Air monitors were used to search the building for potential harmful conditions but revealed no threats and the natural gas company also conducted a thorough examination of their equipment and found no gas leak. The building was re-evacuated later in the afternoon as a precautionary measure and still no toxic gases or conditions were identified. Narrative: At 3:15 pm, Wednesday, April 14, 2010, Tacoma Fire Department Engine 9, Ladder 1, Medic 4 and Command staff responded to a 2 car roll over motor vehicle crash with entrapment at the intersection of South 15th and Sprague street. First arriving crews found 2 badly damaged vehicles, with injured patients. Firefighters worked quickly to remove and treat the patients, then stabilize the vehicles. One occupant from each vehicle was transported to area hospitals for treatment. Tacoma Police briefly closed that intersection. 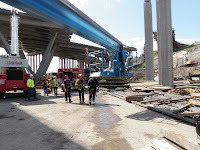 Narrative: At 2:31 p.m. Tuesday April 13, 2010, five companies of Tacoma Firefighters, 1 Engine, 1 Ladder, 1 Medic unit, Command Staff and the Technical Rescue Team responded to a report of an injured construction worker on the top of a pier cap in the Highway 16 Nalley Valley Construction Project. 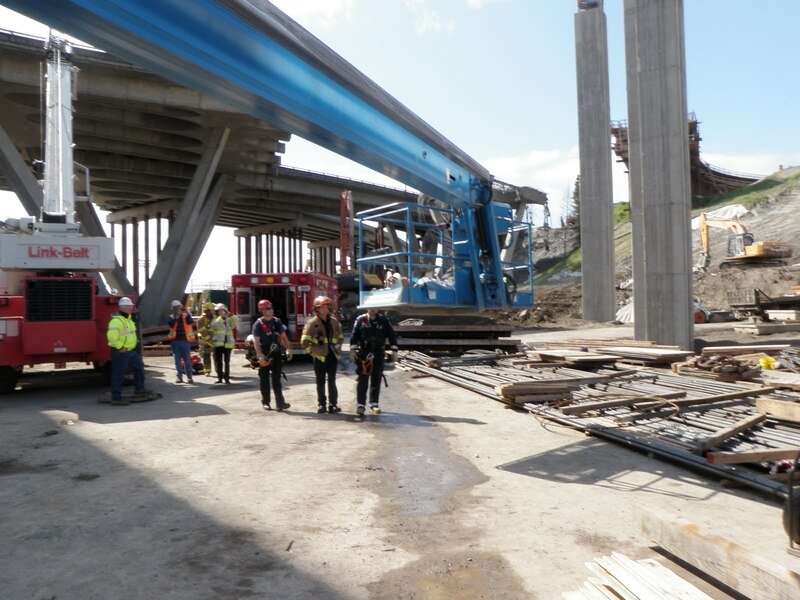 First arriving crews found one injured worker atop an 80 foot support pier. With assistance from the construction crews, lifts were used to transport TFD crews to the top of the structure, assess and stabilize the patient and to bring them down. The patient was then transported to a local area hospital.